Moonlight may have had the joy over its Best Picture win muted by the confusion at last night’s Oscars, but there’s one black filmmaker who got to enjoy a definitive victory this weekend. 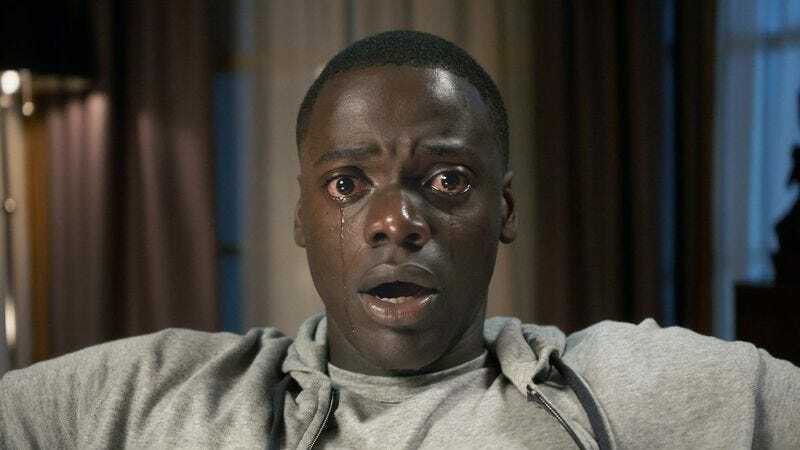 Jordan Peele’s racially charged horror-comedy Get Out took the No. 1 spot at the domestic box office with $30.5 million, a good opening by any non-blockbuster metric but especially impressive considering its $10,976 per-theater average—that’s a lot of sold-out screenings, thanks in part to Chance The Rapper—and the fact that the film itself cost only $4.5 million to make. The rest of this weekend’s top 10 either fell or remained stagnant, with The Lego Batman Movie falling to No. 2 with $19 million (it’s already made more than $133 million, though, so don’t feel too sorry for it) and John Wick: Chapter Two fighting its way from No. 4 to No. 3 with a $9 million weekend, half of what it pulled in last week. The figures steadily drop from there, with holdovers from earlier in the month like The Great Wall (No.4) Fifty Shades Darker (No. 5), and Fist Fight (No. 6) hanging in there alongside crowd-favorite Oscar nominees like Hidden Figures (No.7) and La La Land (No.8). If you noted the absence of this week’s non-Key & Peele-adjacent new releases in this week’s top 10, well, that’s because there weren’t any. This year’s answer to Norm Of The North, the kids-movie cheapie Rock Dog, was only able to manage a No. 11 debut with $3.7 million, just above the tangentially thematically related A Dog’s Purpose. The Nicholas Hoult car-chase thriller Collide fared even worse at No. 13 with a $1.5 million debut, and that didn’t even have an animal cruelty controversy weighing it down. Further down the charts, the Oscar nomination bump helped bring the Swiss-French animated co-production My Life As A Zucchini to a solid $14,103 per-screen average on its opening weekend. But that didn’t amount to a whole lot, charts-wise, considering the film only opened on two screens. Meanwhile, another new specialty release, the maudlin historical drama Bitter Harvest, ended up ranking higher overall, but with a feeble $1,632 per-screen average. And with summer blockbuster season still a couple of months away—although, like Christmas music in shopping malls, it gets earlier every year—the pattern of strong genre films and weak dramas is likely to continue for a while. Happy post-Oscars season, everyone!